The government has rejected calls to provide online voting access to disabled voters, claiming it increases the risk of electoral fraud. 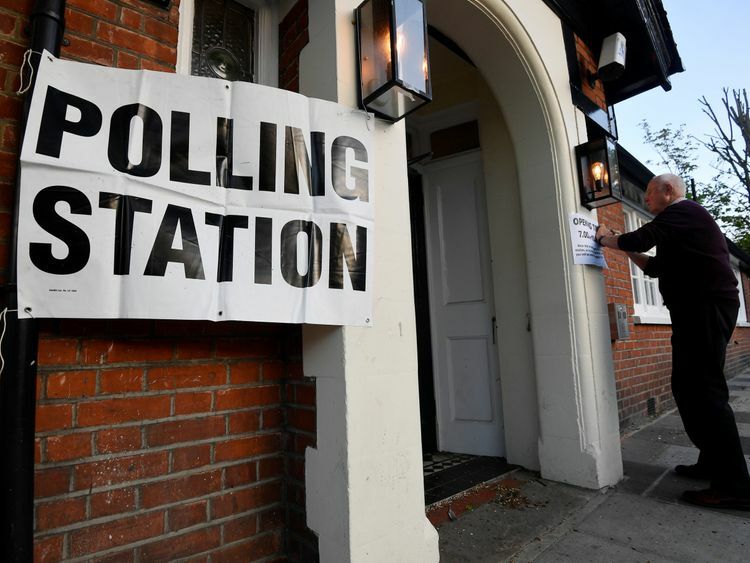 E-voting could make elections more accessible for disabled voters, campaigners have argued, and requests to trial online voting were submitted to a recent government report. "There may be potential benefits for some groups in using e-voting but there are significant concerns about the security of online voting," said the government in response to those submissions.The "increased risk of electoral fraud" alongside "providing unproven systems to people who are already vulnerable [...] would not be helpful," the government explained.It was argued that online voting would help people with sight loss, where audio support and other forms of assistive technology such as screen-readers are available via their computers.In countries such as Australia and Estonia, voters with disabilities can cast their ballots from home where their support mechanisms are already in place, but this will not be trialled in the UK. Ruksana Khanum, a law graduate and visually impaired campaigner, told Sky News: "With me and with a lot of other people, assistive technology is the only means we have to access the internet and information as a resource. "Accessing information held in a paper format can often seem like "more effort than it's worth" for blind people, Ms Khanum explained, and this extended to elections. "There are several problems, even beginning with accessing candidate's leaflets," Ms Khanum said, adding "you can look up your candidates online but you're unlikely to do that unless you're prompted. "If you're young and blind you feel like you're not being engaged by politicians," she added.The situation becomes especially difficult at the polling station itself, where visually impaired voters can often have no access to an independent or anonymous ballot.While polling stations are required by law to provide a tactile device for people with sight loss to vote, less than 1% of the visually impaired population in the UK uses braille. Postal voting is available for disabled voters, but they do not help those who are unable to leave their homes or beds, and do not offer the visually impaired additional access. "Postal votes aren't helpful either," Ms Khanum told Sky News, "they don't help me cross the box. It's the same problem whether I do it at home or at the polling station. "The Welsh government has proposed pilots exploring the use of electronic voting in local elections and by-elections.Areeq Chowdhury, the chief executive of the WebRoots Democracy think tank, has advocated the use of technology to drive inclusion when people go to the polls. "It is deeply disappointing that despite asking voters with disabilities to tell them how to make elections accessible, the government has chosen to not even consider the potential of online voting, a reform called by many of the respondents to the consultation," said Mr Chowdhury. 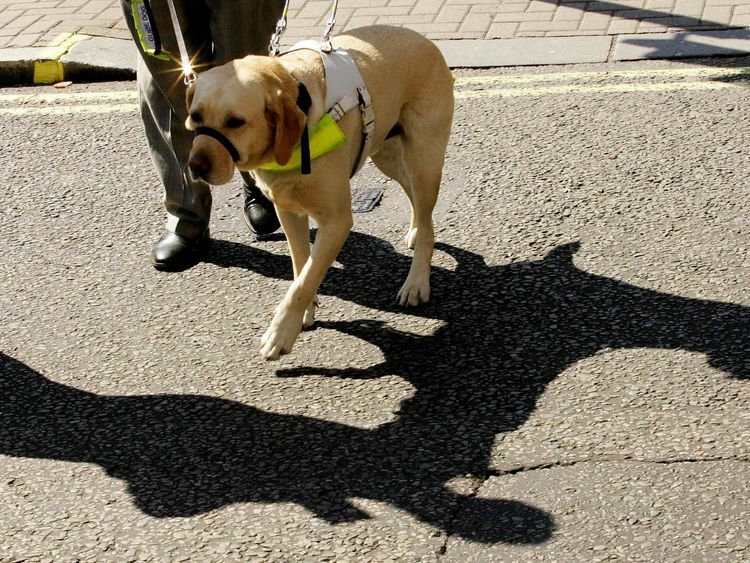 "It's unacceptable that today many blind and partially sighted people are still unable to vote independently and in secret," said Marie Chadwick, Policy Officer at the Royal National Institute of Blind People, told Sky News during last year's local elections. "While having a large print reference copy of the ballot paper does help some, the current system is not properly enabling voters who cannot read the official ballot paper to cast their vote with confidence," added Ms Chadwick. 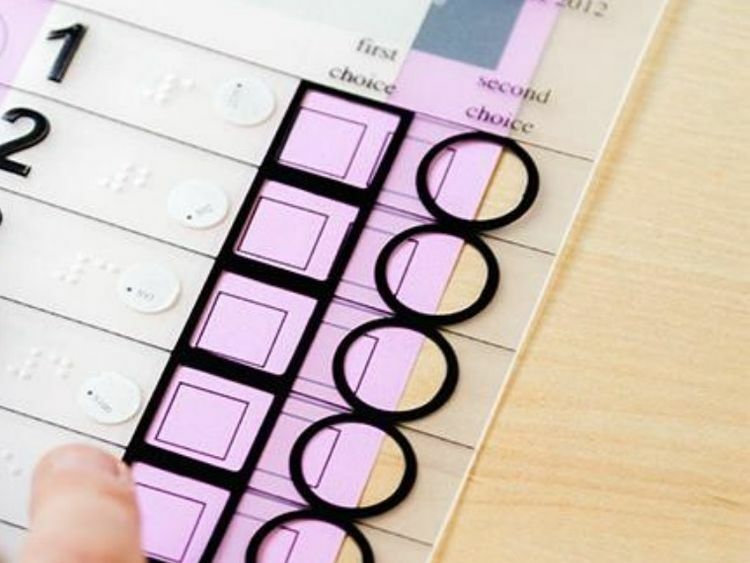 "Technology such as electronic voting could help eliminate the barriers that the paper-based voting system creates for some people with sight loss, allowing everyone to cast their vote independently and in secret. "Despite the potential for increasing access to elections, there are fears that electronic voting systems could allow hackers to influence the ballots. Russian hackers are accused of targeting election-related systems in 21 US states during the 2016 presidential election.In Germany, cybersecurity researchers warned in the days before their parliamentary elections that security flaws in counting machines' software were "trivial" to exploit and manipulate the result. » Have you had difficulties voting? Could tech help?